Product innovation comes in many forms, including the banana! According to this Reuters article, that includes banana Halloween costumes. 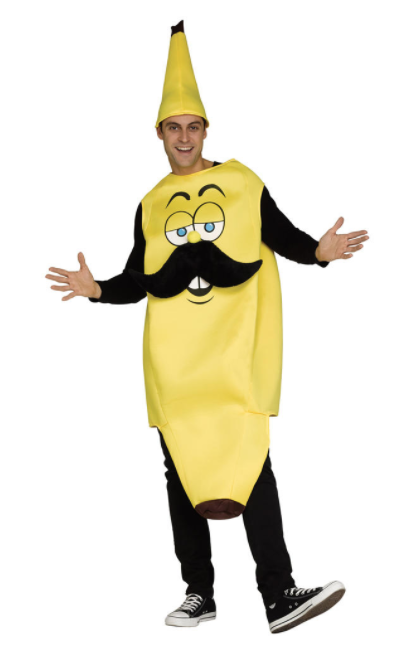 The article talks about a lawsuit brought by a banana costume designer against Kmart for copyright infringement. The article goes on to say that US shoppers spend a staggering $3.4B on Halloween costumes each year. With Halloween approaching, this can be a fun way to introduce the scope of intellectual property protection to students and get them to think about their Halloween costumes in a whole new way. Marketing practices — and laws that govern those practices — are always changing. Chapter 8 discusses food product labels. Recently the Food and Drug Administration made changes to the nutrition facts label that appears on the side of packaged foods. The new label reflects the latest scientific information on how foods — in particular sugar — contribute to an unhealthy diet. For full details, we refer you straight to the U.S. Food and Drug Administration website, “Changes to the Nutrition Facts Label” (May 20, 2016). Review the press release at the FDA website (link above). List three changes to the label that help it comply with the Federal Packaging and Labeling Act discussed in chapter 8. Do you think these changes will change consumer behavior? In what ways? Why? How do you think these changes will change packaged food producer’s behavior? Filed Under: Chapter 08, Legal, Product, What's Now? You might ask your students what might make this ad misleading. It turns out at least two factors contributed to the FTC’s decision. First, the truck couldn’t actually perform as shown in the ad. Minor issue right? Cables hidden in the sand actually pull the dune buggy up the dune. Second, camera angles were played with to make the dune steeper that it really was. While Nissan claimed the video was meant to portray a “fantasy scenario” — the FTC also felt that making it look like a YouTube video was also misleading. The ad does include a small disclaimer “Fictionalization. Do not attempt” which runs in small type in the first three seconds of the ad. This article, “FTC Says ‘No Way’ to Nissan Frontier – Pushing Dune Buggy Ad” (Adweek, January 23, 2014) notes that advertising agencies should know better and can be held liable. See more at the FTC’s website. We have also posted this at Learn the 4 Ps. This video might be shown and discussed when you cover legal or ethical issues in advertising. 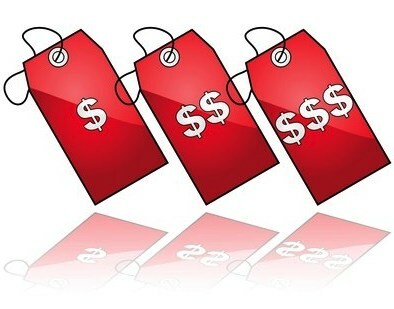 What does the world of personalized pricing mean? We (consumers) are getting used to customized online experiences. Our browsers know where have been on the web and remember our usernames and passwords (unless we specifically ask them not to). When we visit an online retailer, we often find ads for products we just browsed follow us in ads for weeks. When we return to that same online retailer, they keep anything we put in a shopping cart right there waiting for us. There has always been the promise of personalized pricing, too. Back in 2000 Amazon.com was criticized for experimenting with the practice. What if we saw different prices based on whether we were on a site via a mobile device as opposed to a computer? What if where we lived influenced the prices we received? Today this happens — probably more than some of us imagined. In “How You Shop Online Changes The Prices You See” (November 6, 2014), Fast Company reports on a study by some researchers at Northeastern University. This article might be used to stimulate a discussion on price discrimination and its ethics. The dog food market is very interesting. The premium end of the market is especially interesting. As more of us view he family dog as “part of the family” we are also more willing to spend more on what we feed our dog. Our textbooks have a great video on this topic – “Targeting the Premium Dog Market: Cashing in on ‘Doggy’ Love.” Many of our students have dogs (or cats, or other pets) and can relate to this market. I have come across an article, a news story, and a spoof to offer you something to talk about when you cover consumer behavior, advertising, entrepreneurship, or legal issues (Lanham Act). An extended article in Bloomberg Businessweek “Dog Food Fight! Purina Says Blue Buffalo Is ‘Built on Lies’” (July 24, 2014) offers some insight into a legal battle between Purina and Blue Buffalo. The same article describes the very interesting rise of Blue Buffalo by a former ad-man who also founded beverage company SoBe which he later sold to Pepsi for $380 million. For a short (2:37) take on the legal battle, see this video clip below from ABC’s Good Morning America. If you want to have some fun, you could show this Saturday Night Live skit which spoofs Blue Buffalo. Ideas for class include using this as an example of changing social and cultural values and its impact on consumer behavior. You could also use the first ad to discuss the Lanham Act and legal issues in advertising. The Blue River dog food story in Businessweek shows how important marketing has been to this upstart firm.